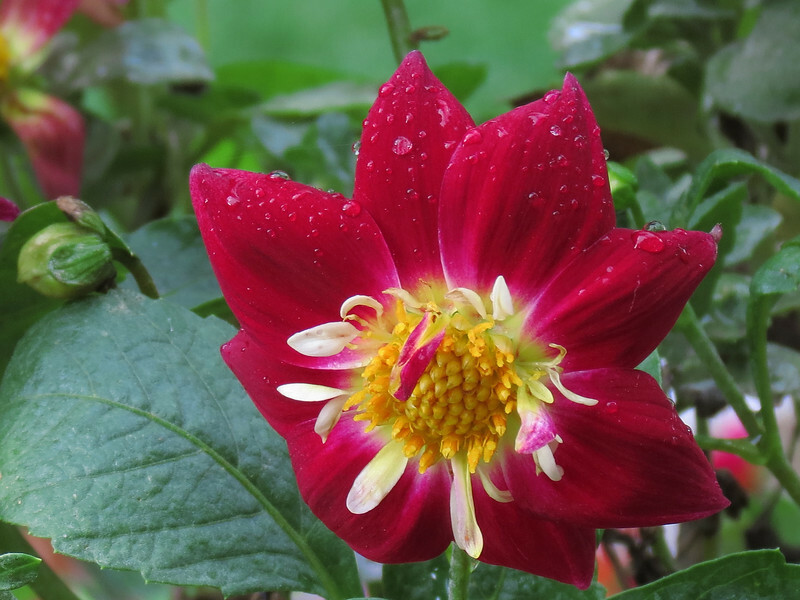 This gallery contains pictures of flowers and other things from around our house and yard. 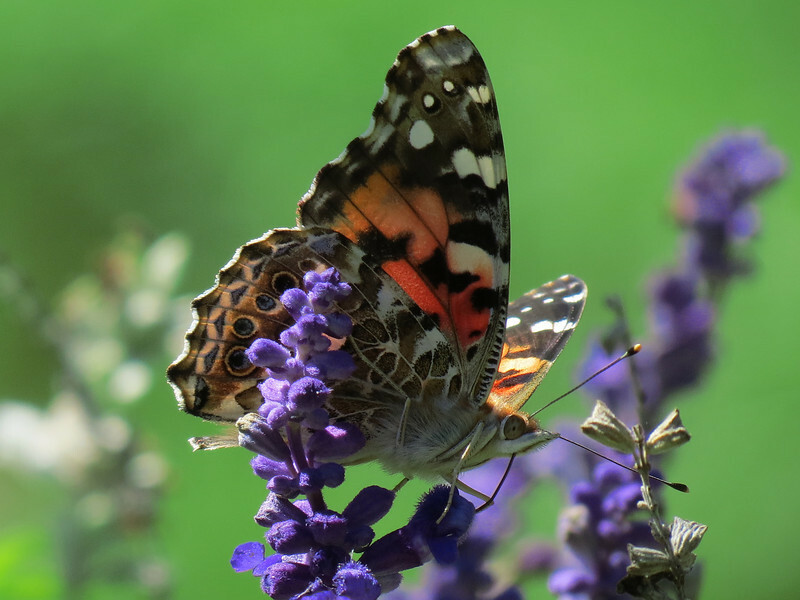 Butterfly on the Blue Salvia. 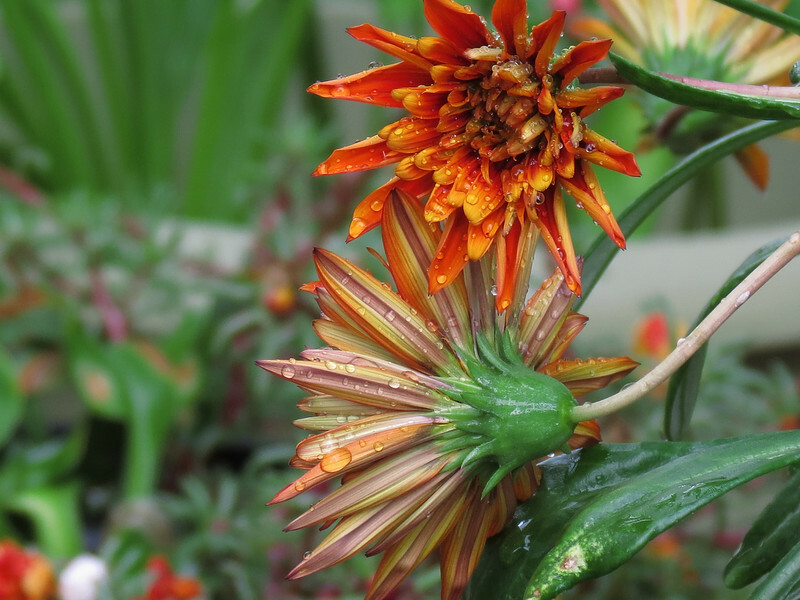 A small pot of Gazanias that finally got tired of the cold nights -- November 14. 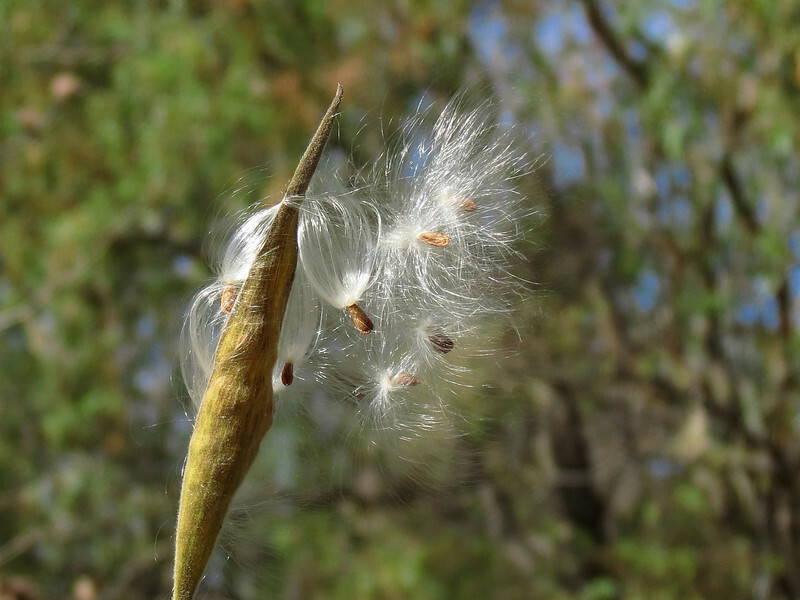 The last seed pod of the Asclepias or Butterfly Weed in mid November. 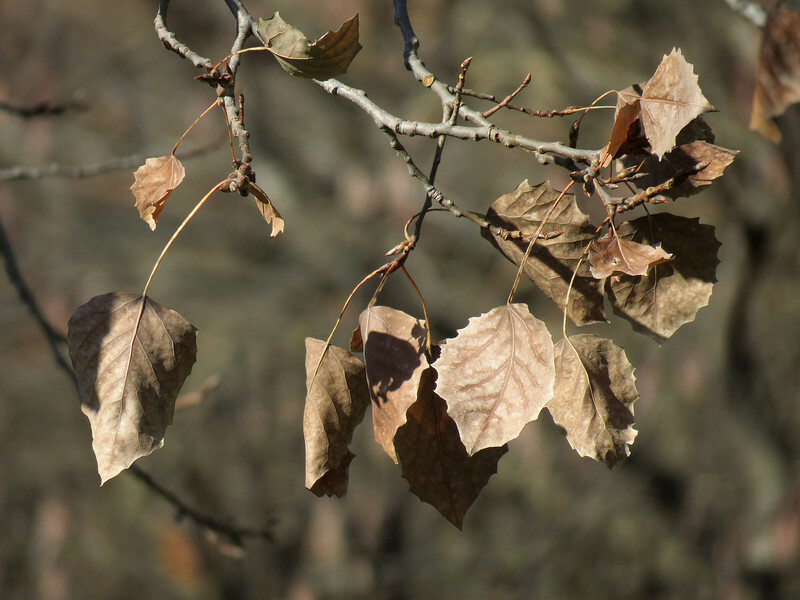 the yellow Aspen leaves turned completely brown. 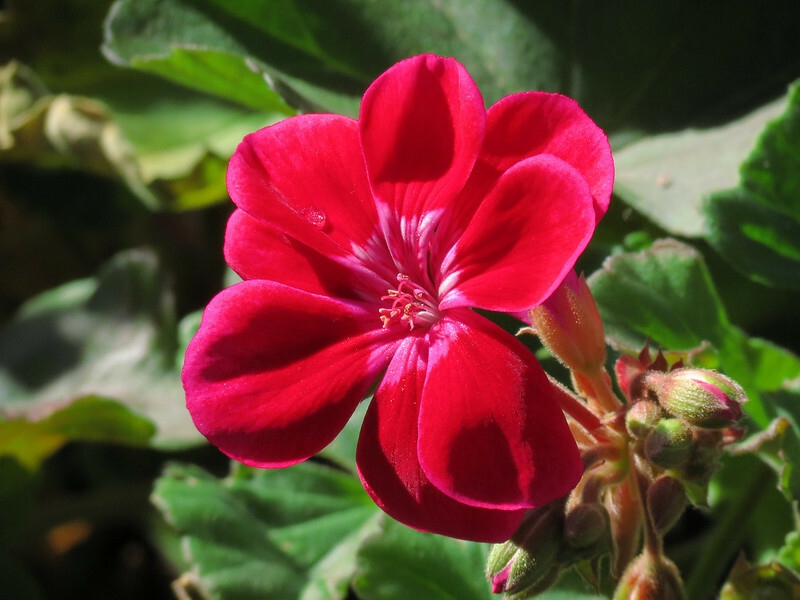 The sun shining through the Aspen leaves on Becky's flower cart..
Red Geranium on November 6. 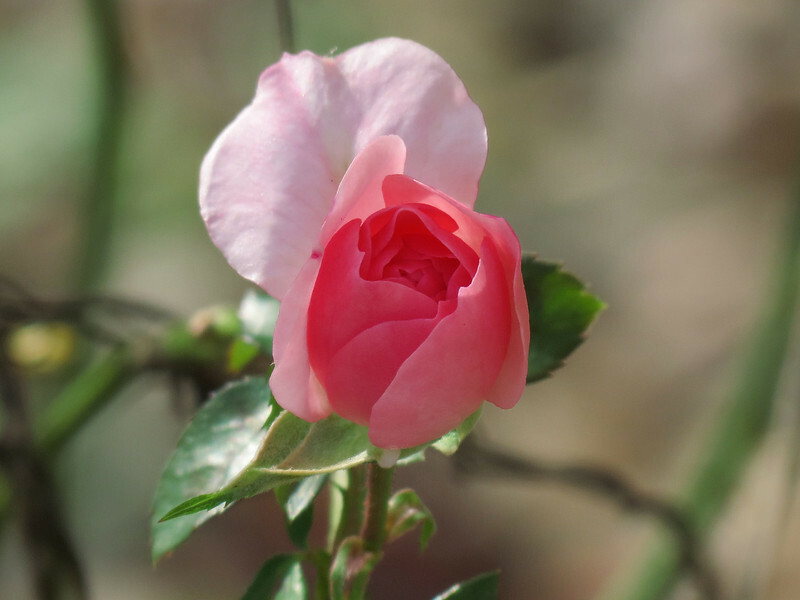 This is basically a white rose but the cold has given it rosy cheeks. 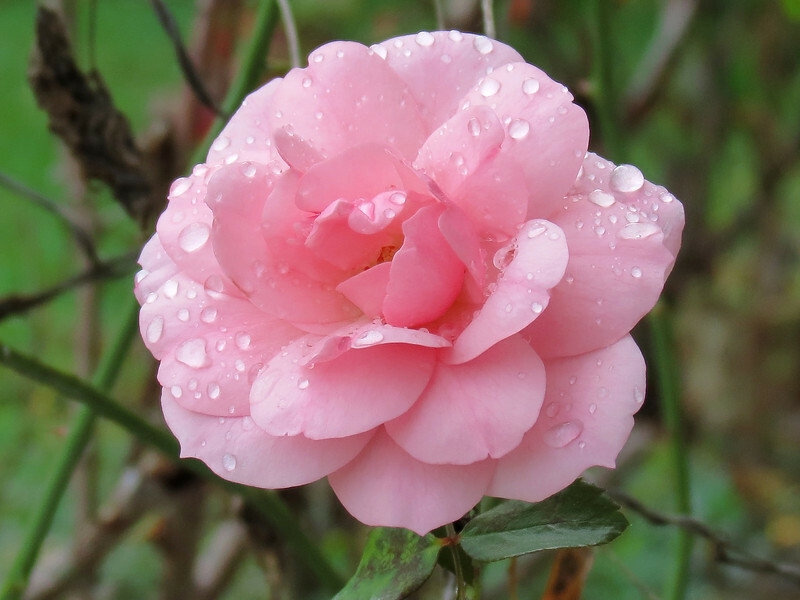 The pink rose in the October rain. 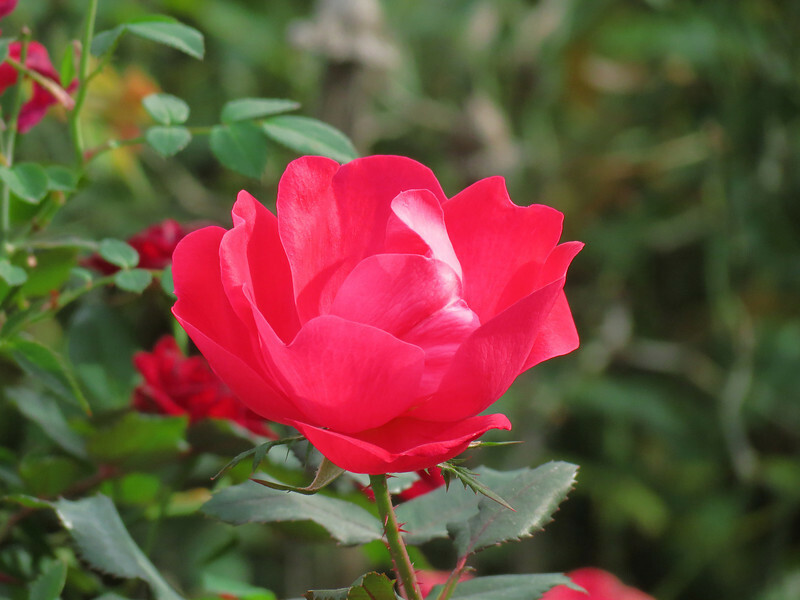 This red Knockout rose looked nice in the afternoon sun on October 31st. 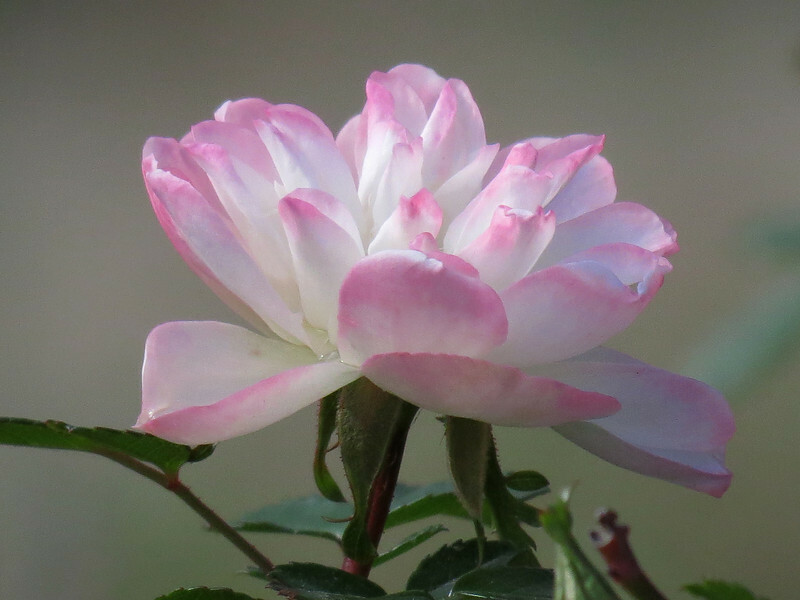 One of the pink roses out front. 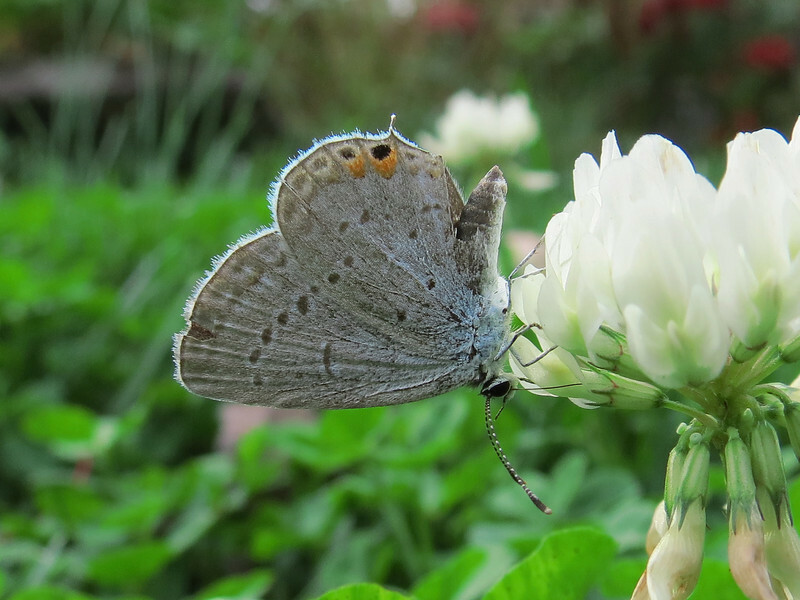 Small Hairstreak Butterfly laying eggs on white clover on a warm and windy October 24. 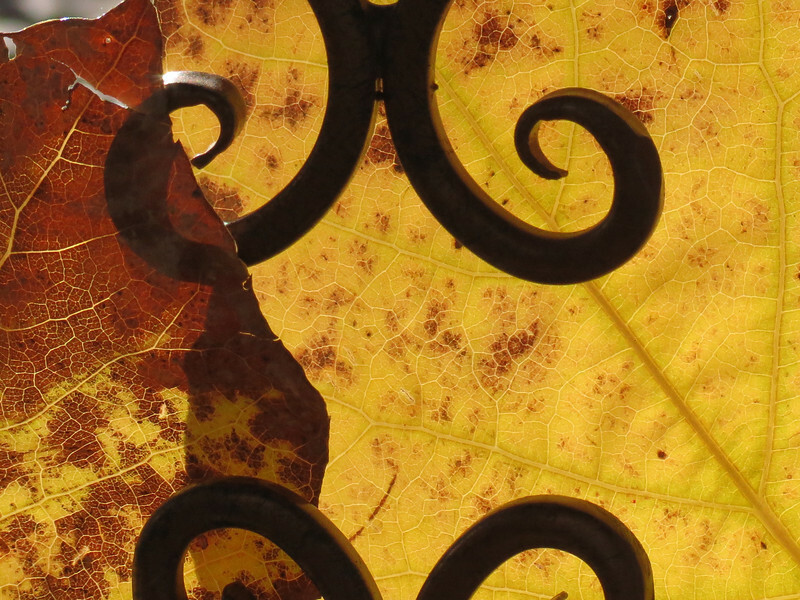 I will be sad when all the leaves have fallen and hope these last a few more days. 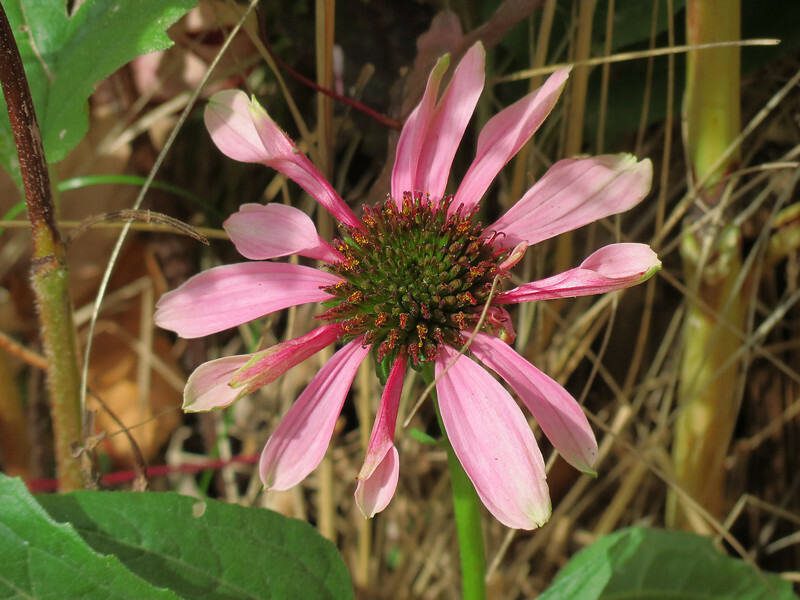 When raking leaves under the big Maple tree on Halloween, I found this cone flower growing close by. 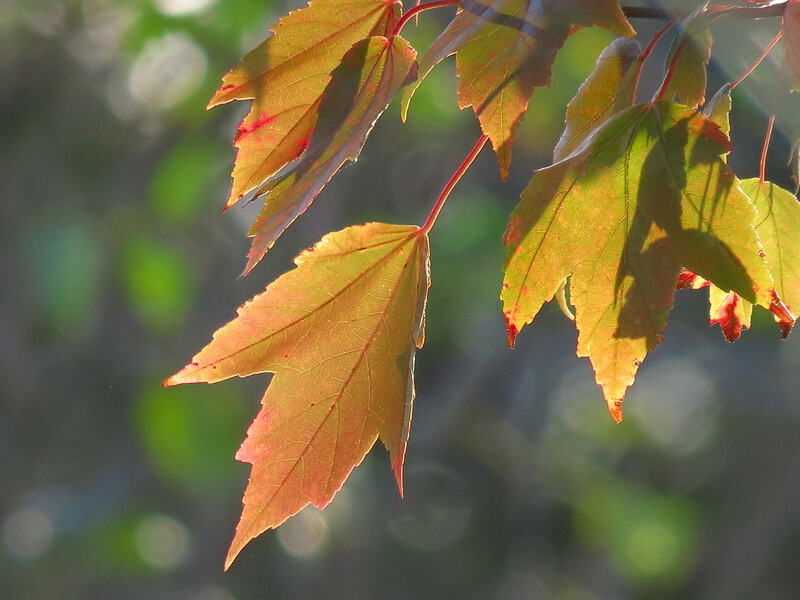 Leaves of the Red Maple on October 31st. 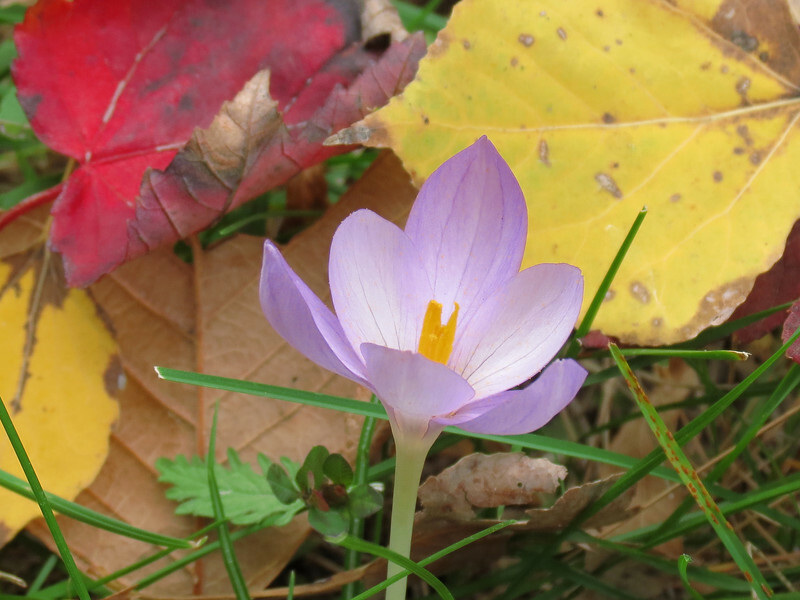 Another of the fall blooming lavender Crocus on October 21. 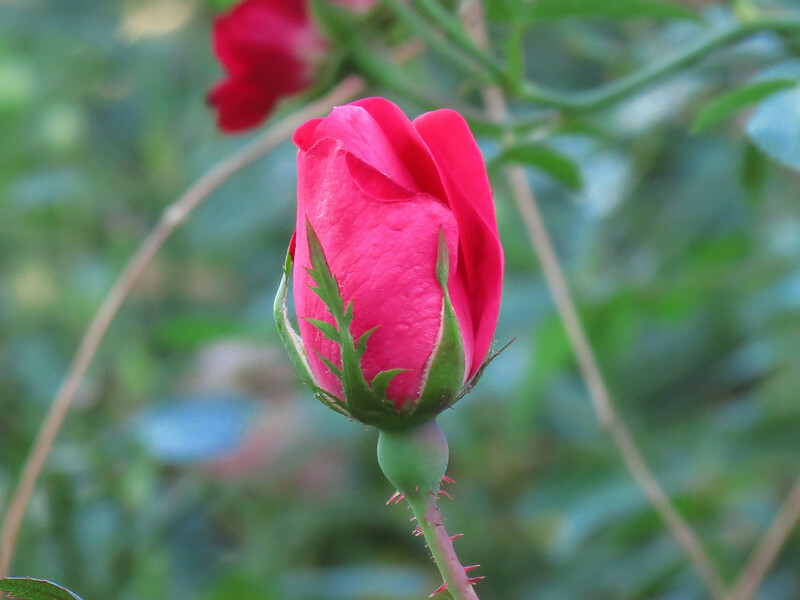 Rose bud in the garden at the front of house. 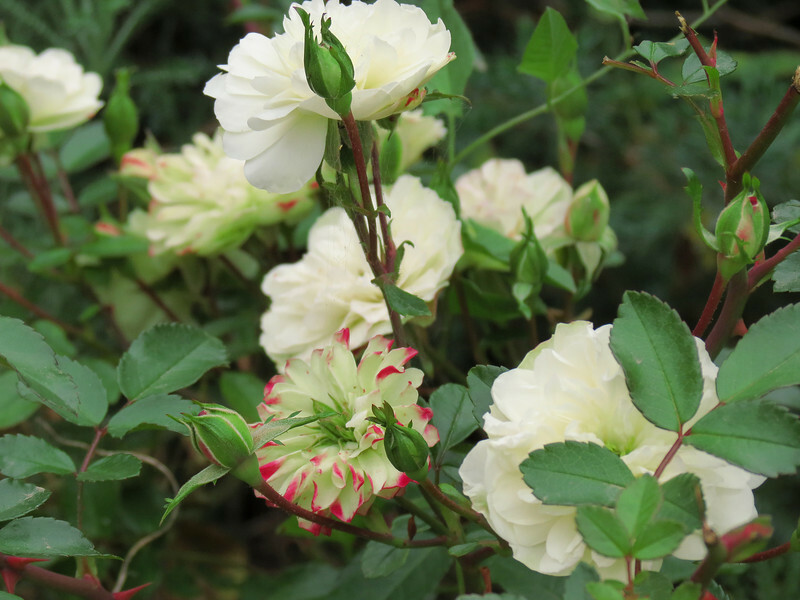 These roses have weathered several hard freezes and still look fine. 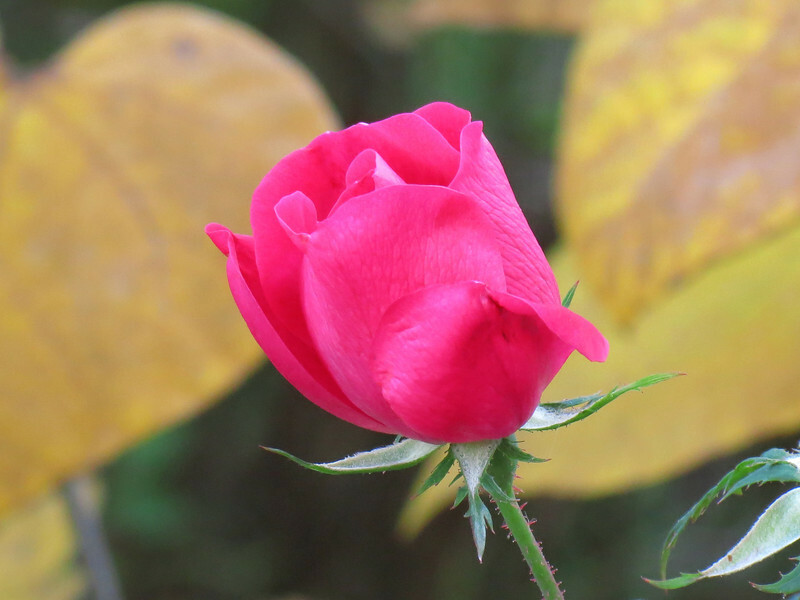 Rose bud at the front of the house. 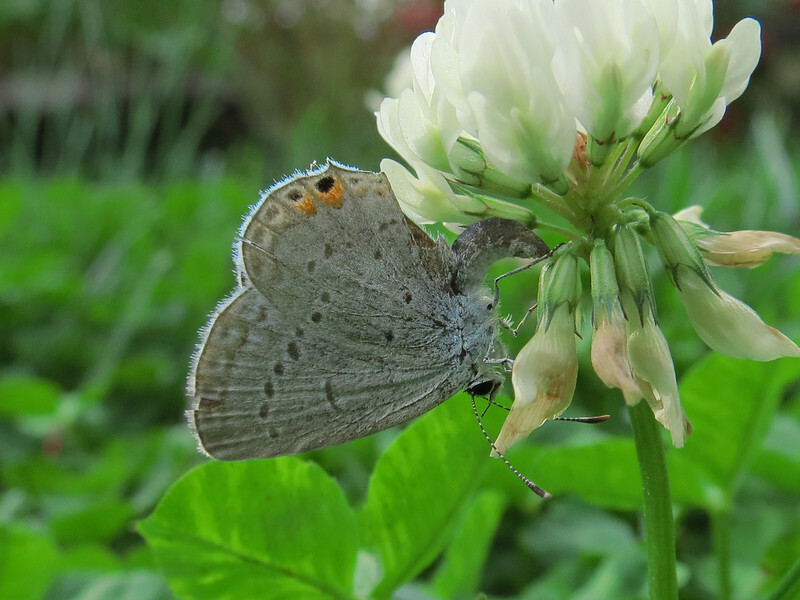 I believe this tiny butterfly is laying eggs on this white clover. 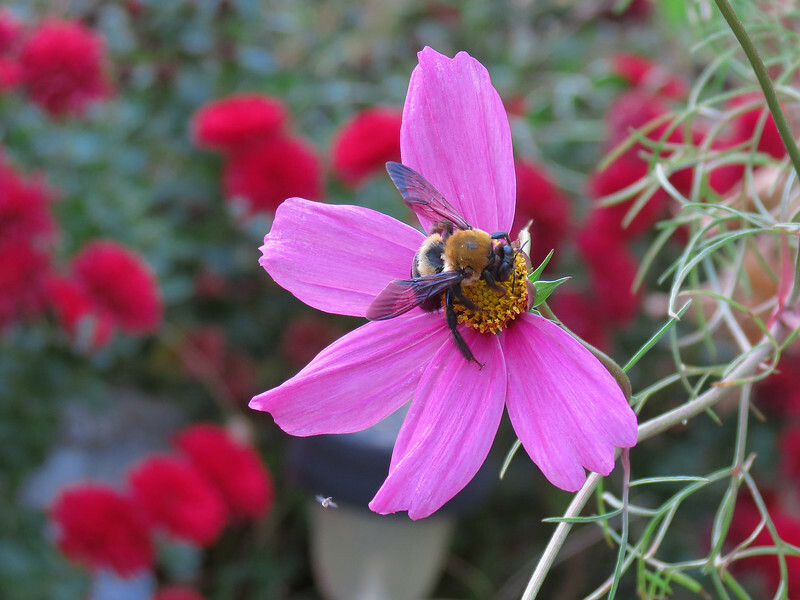 A large Bumble Bee on a pink Cosmos flower that is missing a petal. of crepe paper and repeatedly tried gluing it on but had no luck at all -- too windy. 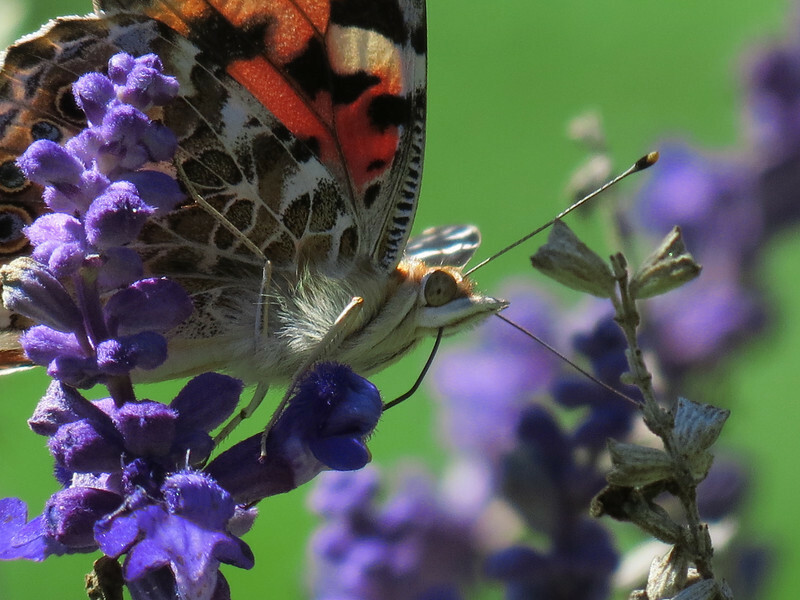 got into the picture in the lower left of the flower petal. 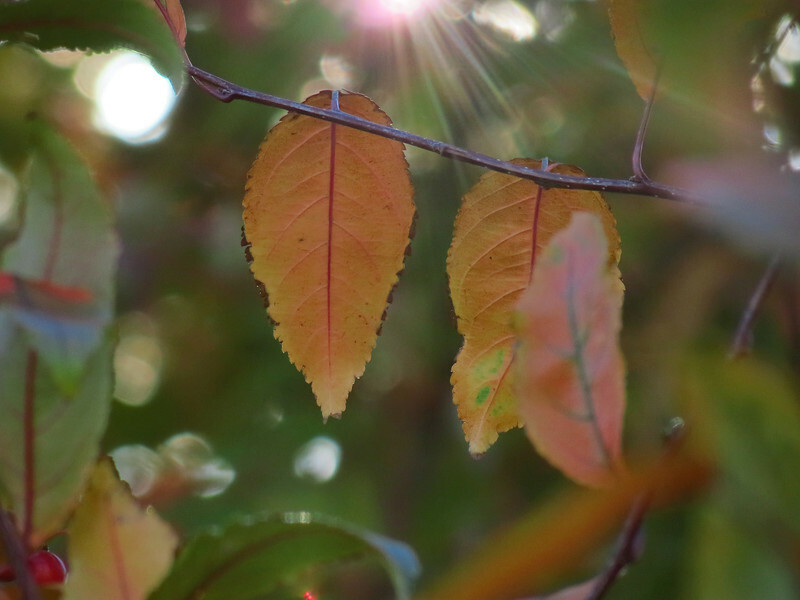 I can winter them over -- I hope -- and enjoy inside this winter. 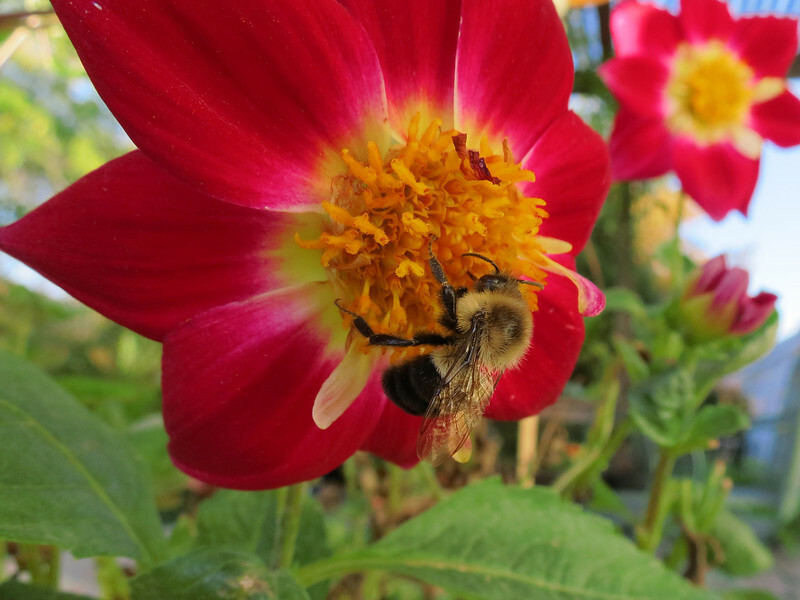 Update: I decided not to winter these over indoors and just planted them in the ground. let go to heck. 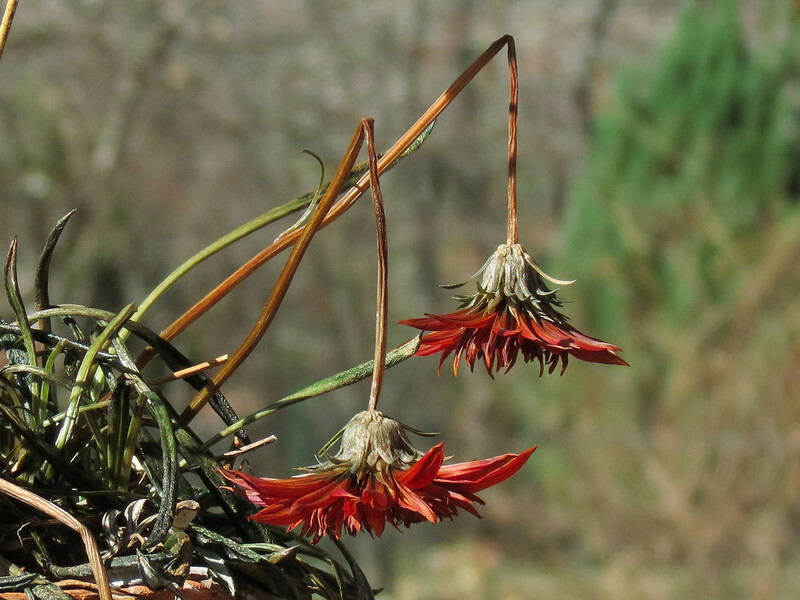 I didn't have any ambition this summer because of the heat and drought. 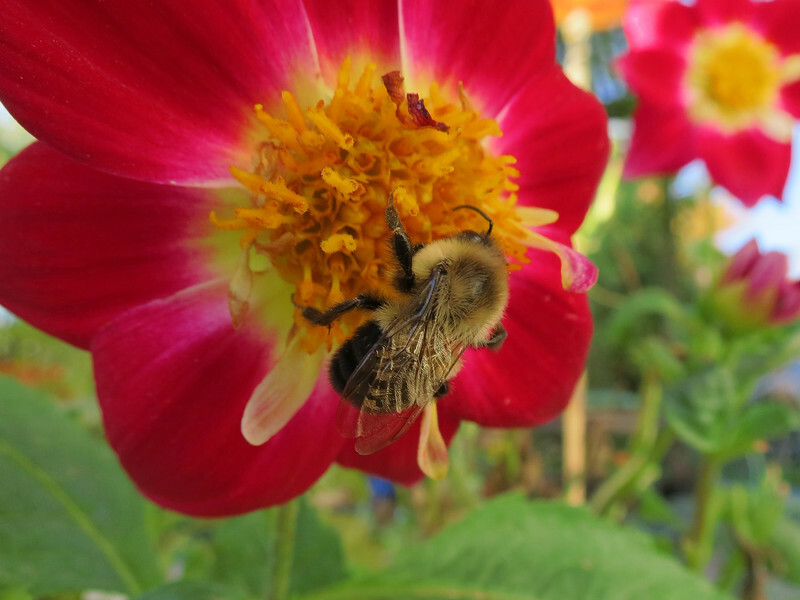 Maybe by next summer I can turn this garden into something to really enjoy looking at. 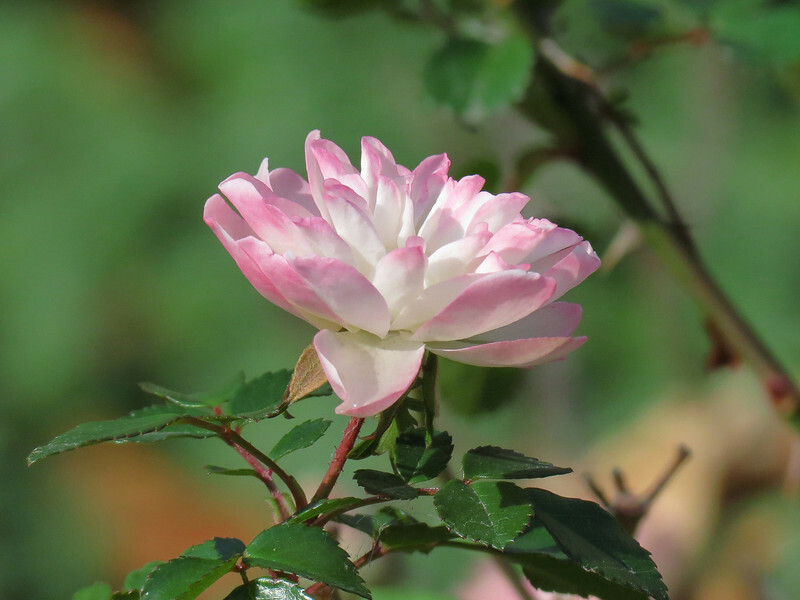 Miniature rose "Green Ice" near the front walkway. 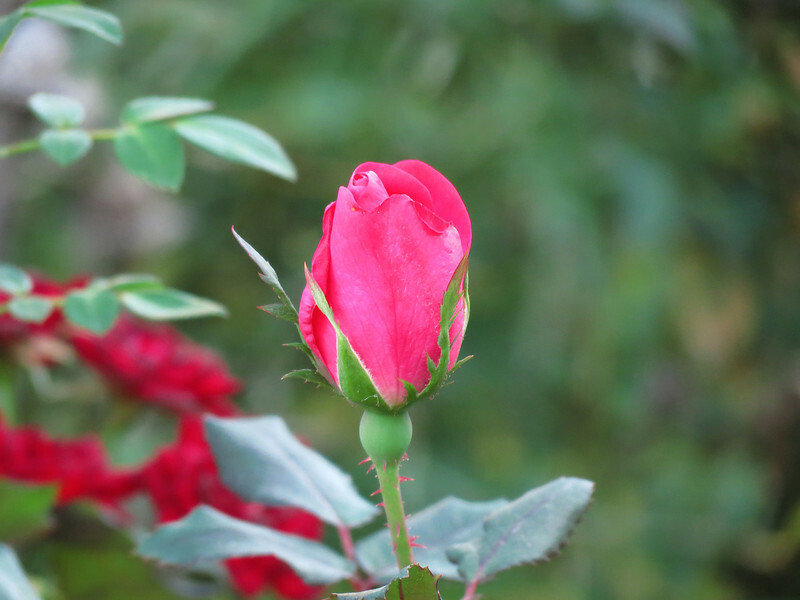 become white, tinged with a medium red color. 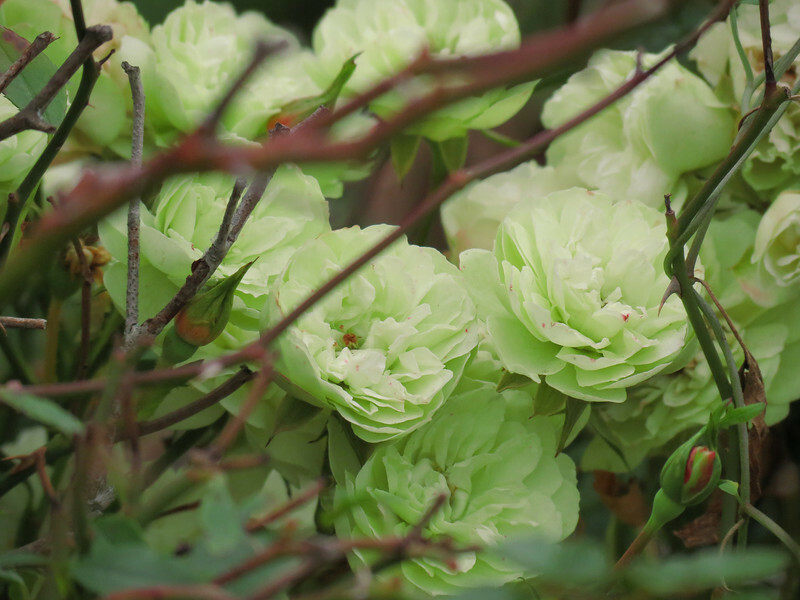 Miniature rose "Green Ice" when the blooms are green in color. 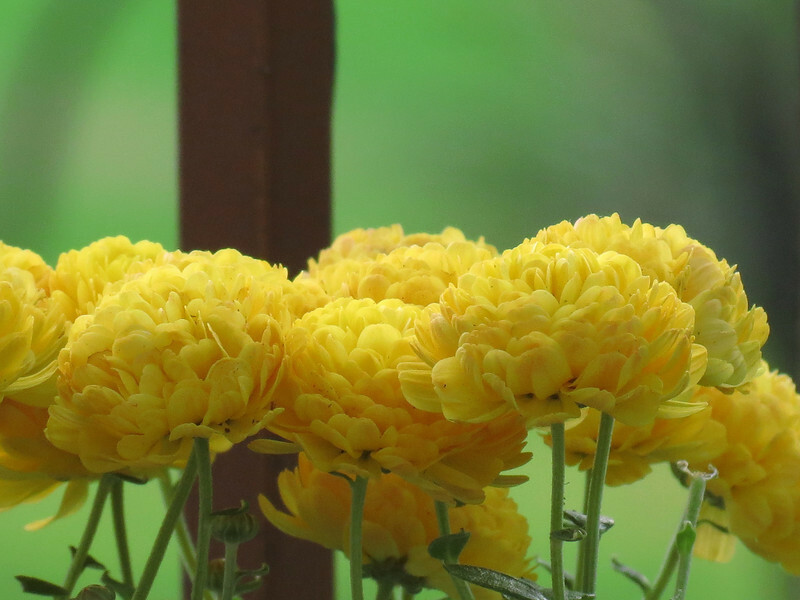 Chrysanthemums in the overgrown front garden. There is also a lot of Lemon Balm growing around these flowers. 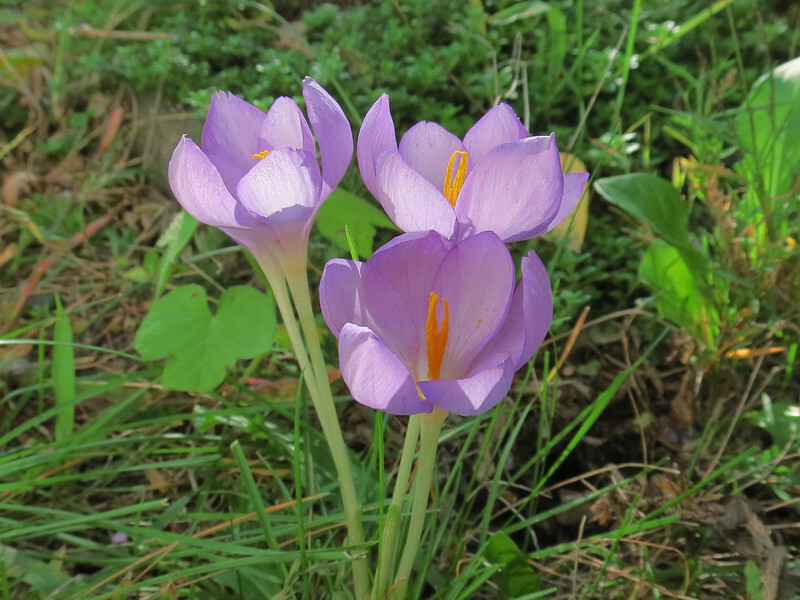 The fall blooming Crocus are still sending up these nice lavender flowers. 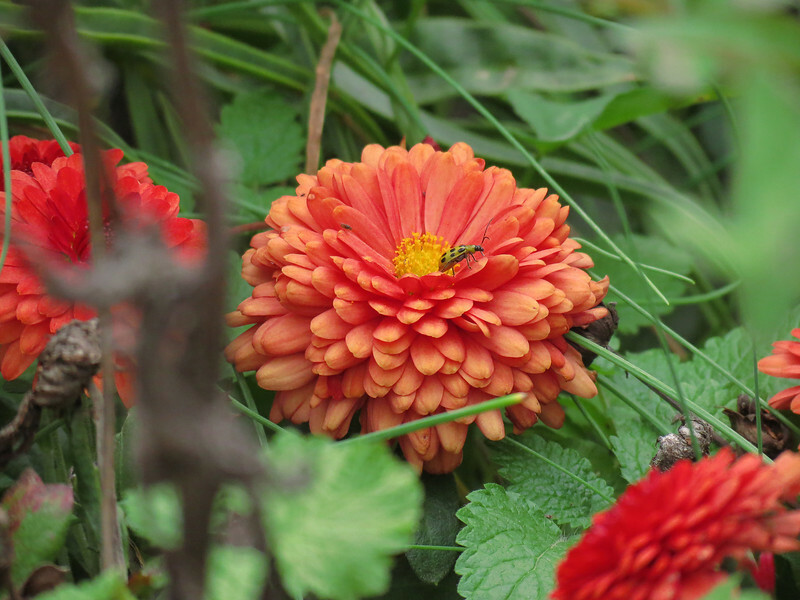 There is a small ant climbing around inside this one. 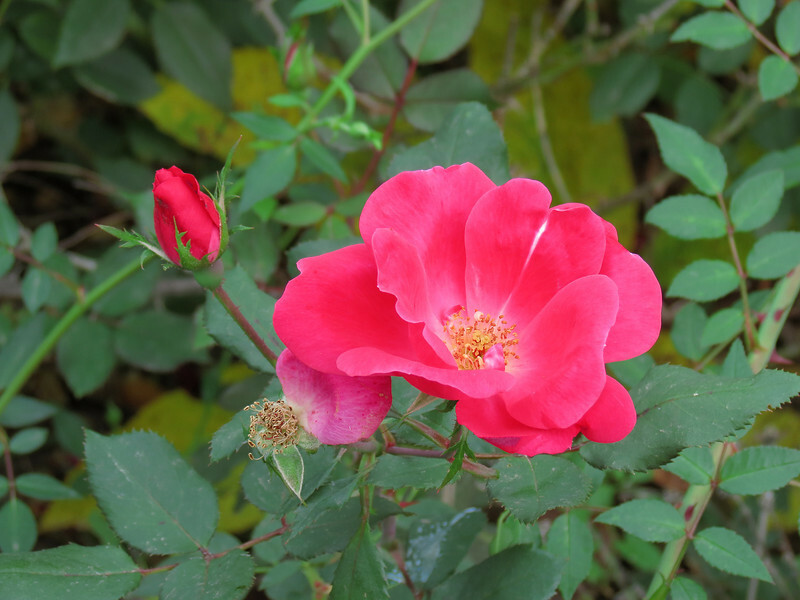 I don't know why these came to be behind the garage but I must have planted them there. 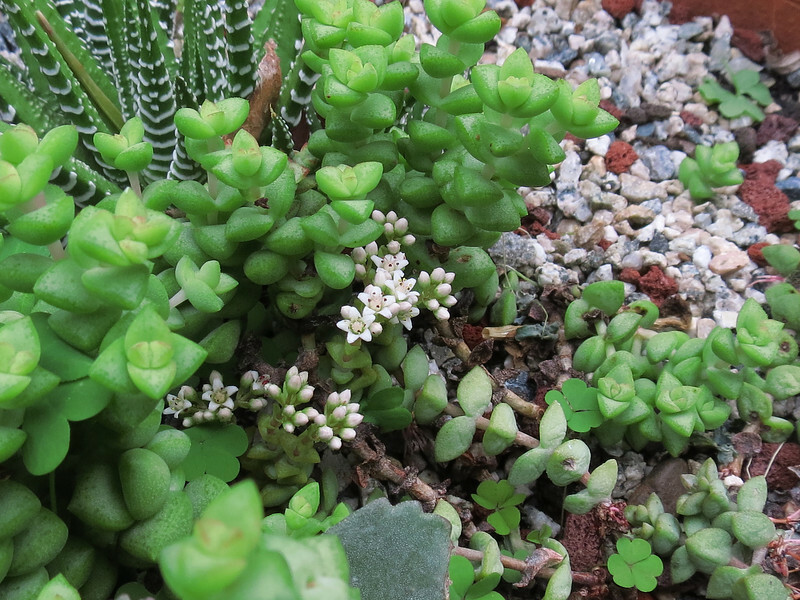 One of the sedums that we planted this year is blooming. 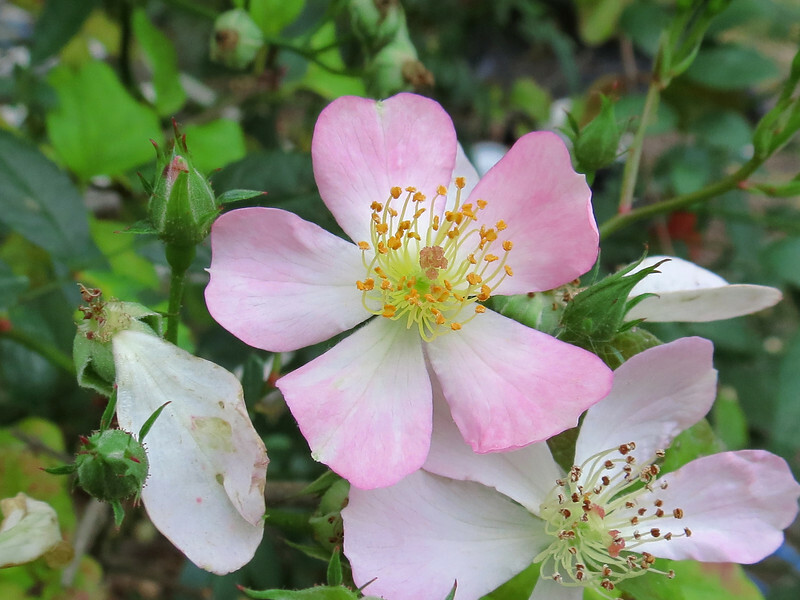 plant them individually in smaller pots and winter them over. 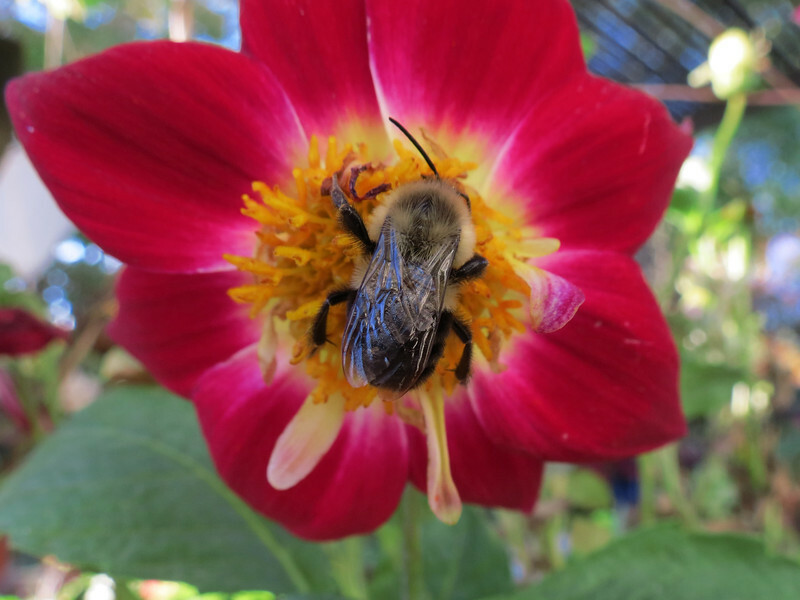 Bumble bee and red Dahlia on October 20. 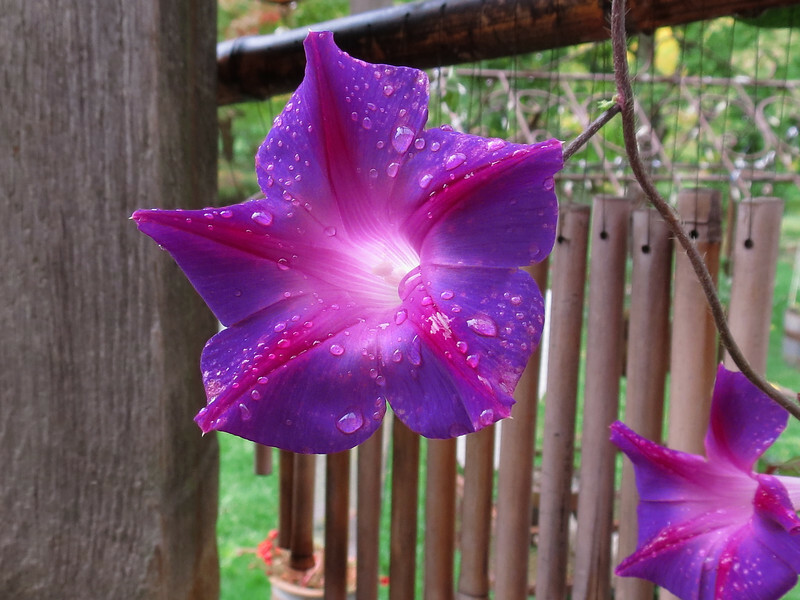 Morning Glory vine blooming in the October rain. 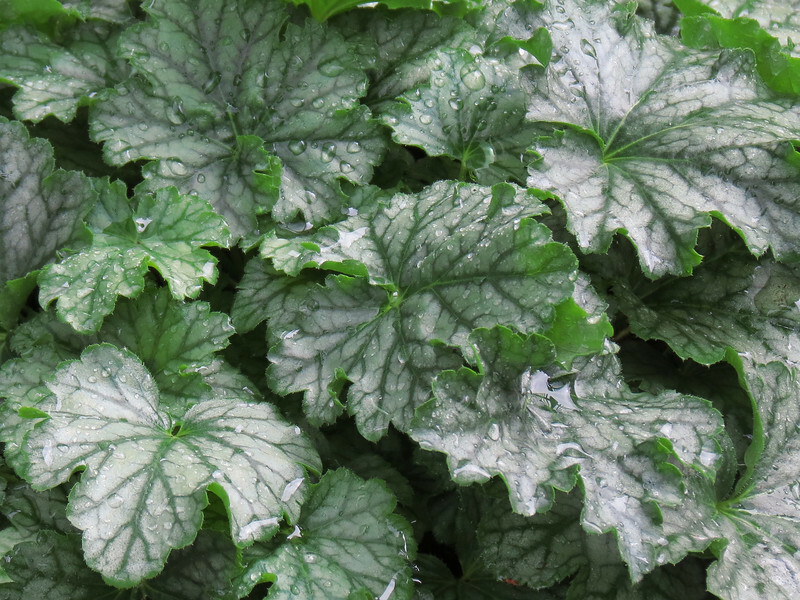 The Coral Bell (Heuchera) plant with rain drops. 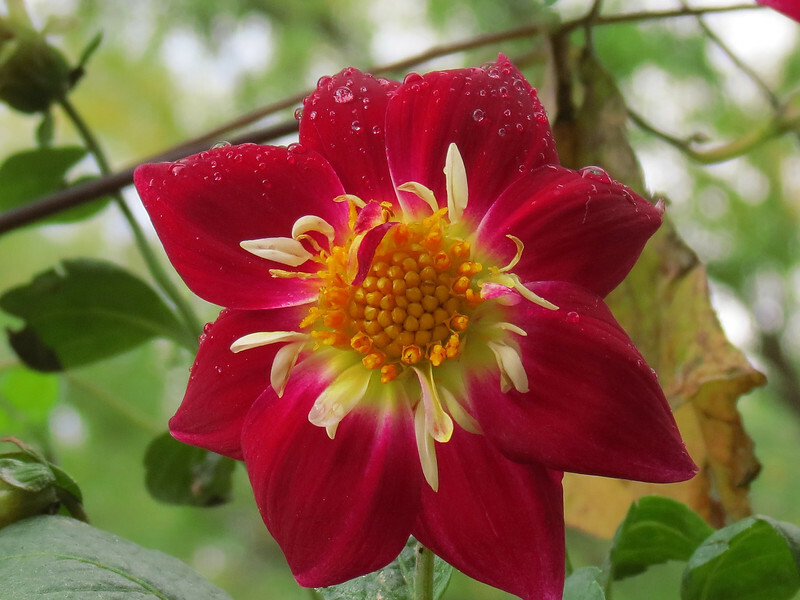 Dahlia in the October rain. 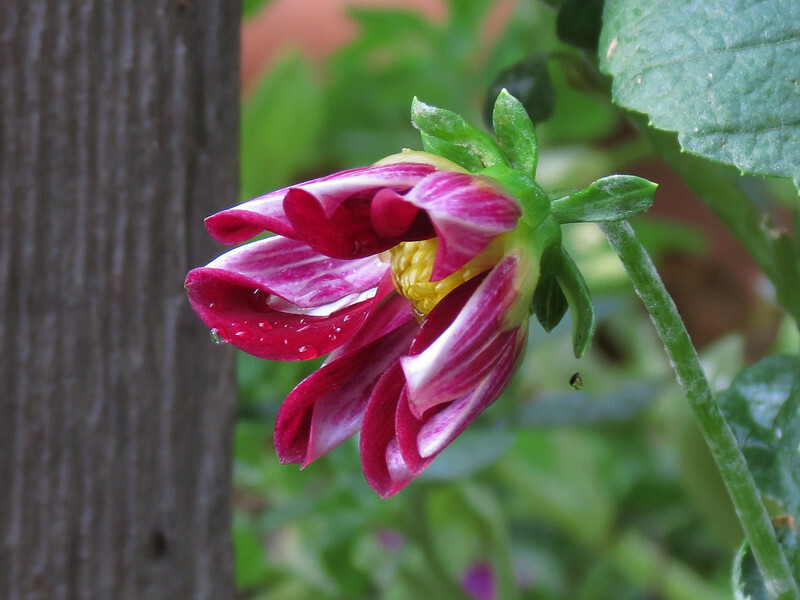 Gazania blooms in the October rain. 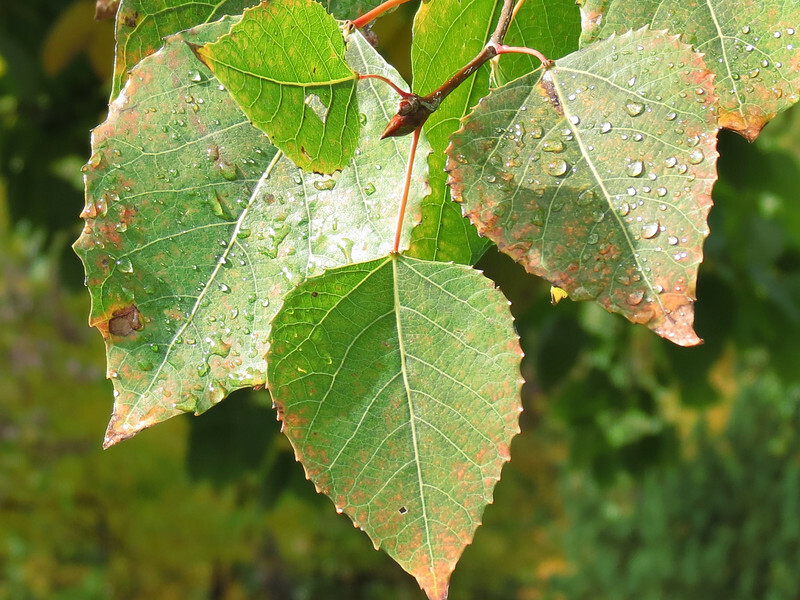 Big Tooth Aspen leaves after the October rain. 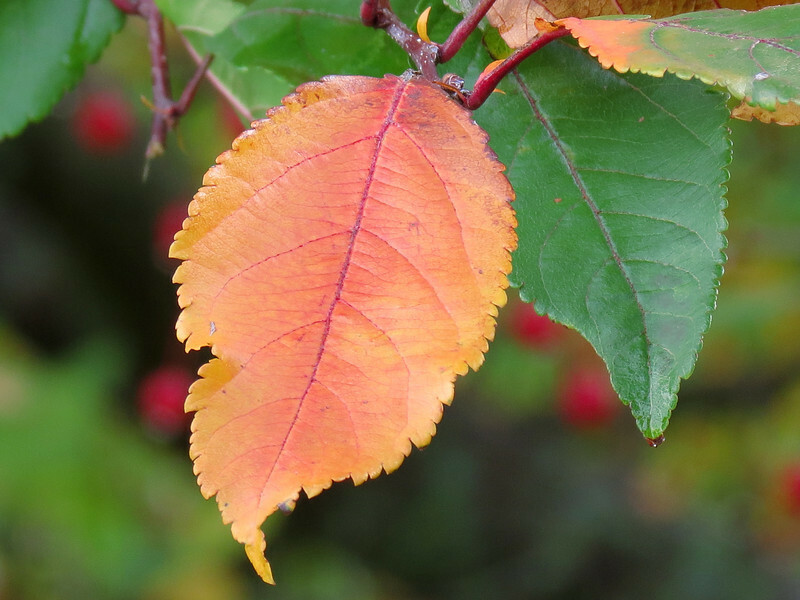 Crab Apple leaf in October. 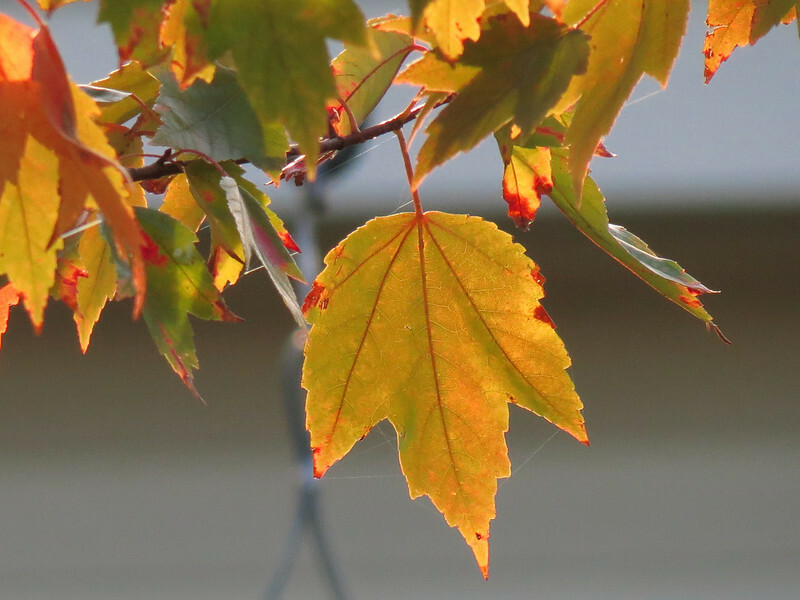 all of the chlorophyll out of its leaves in October. 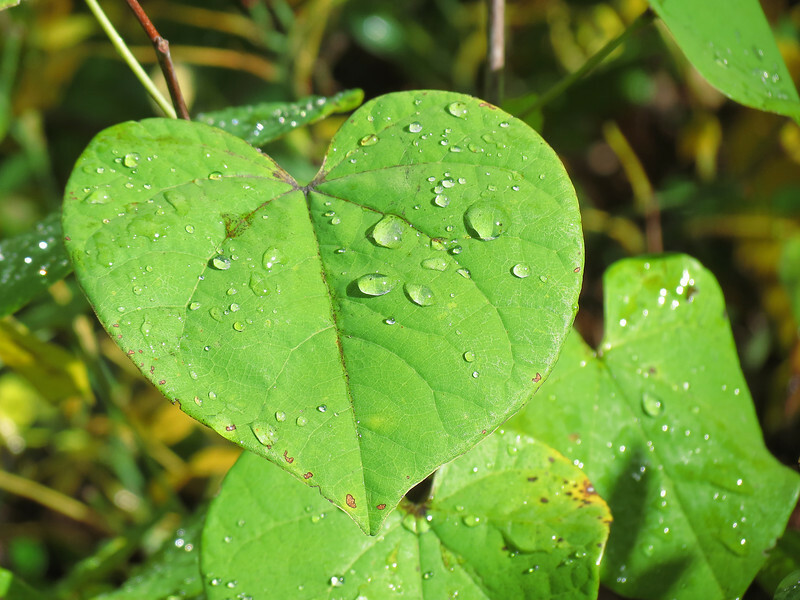 Volunteer Redbud tree with raindrops in October. 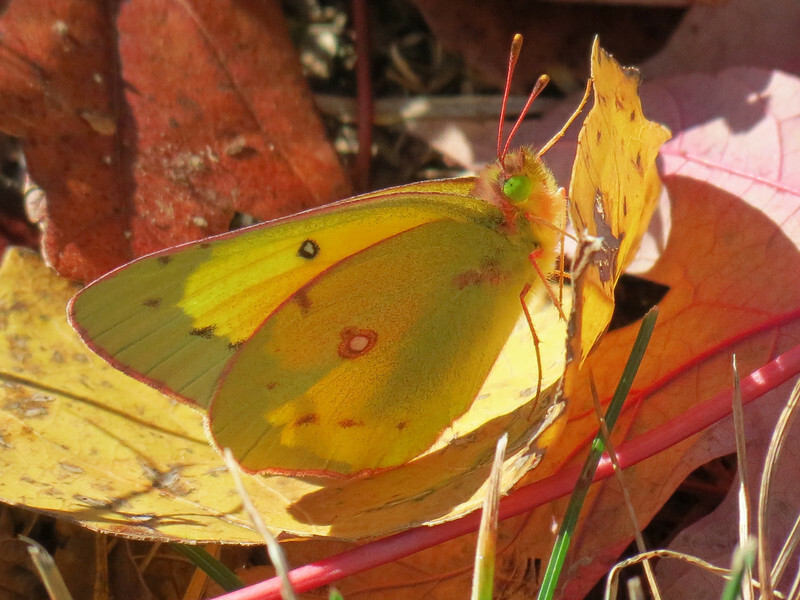 A bit of sunlight illuminates the Butterfly's furry body. looking nice -- a very tiny comb that I always keep in my shirt pocket. she just made big butterfly eyes at me and purred and purred as I very gently combed her. 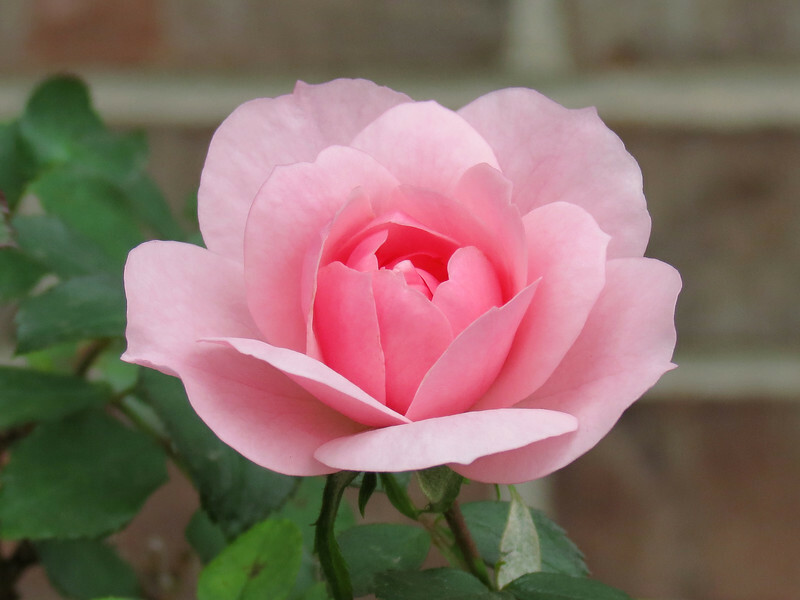 Pink rose at the front of the house. 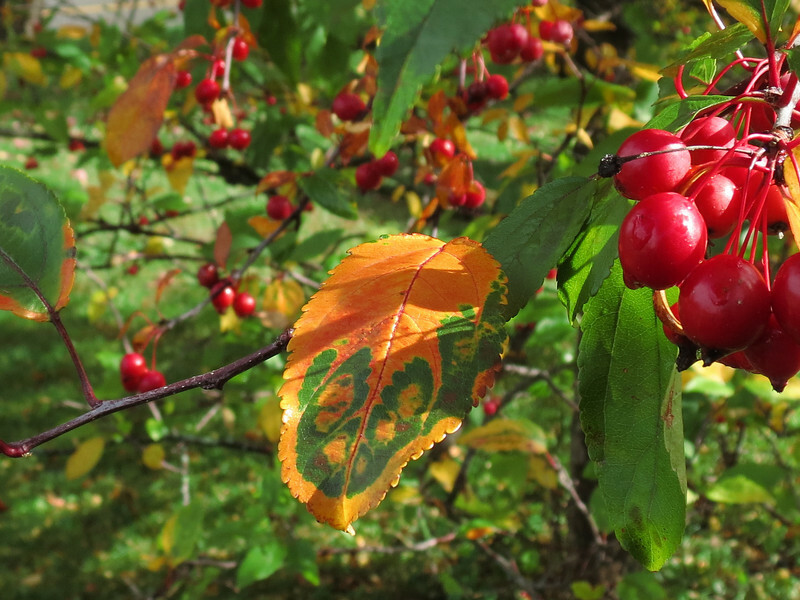 The morning sun shining through the crab apple tree. 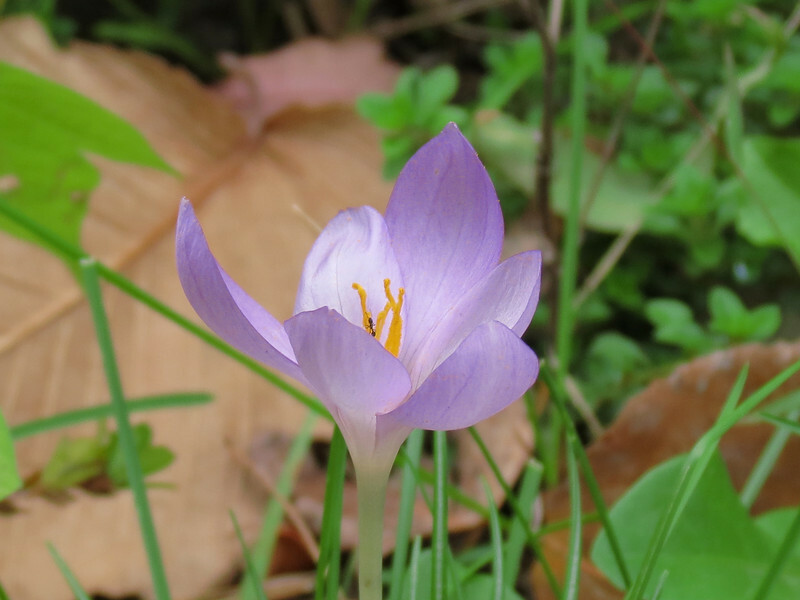 Autumn Flowering Crocus behind the garage. 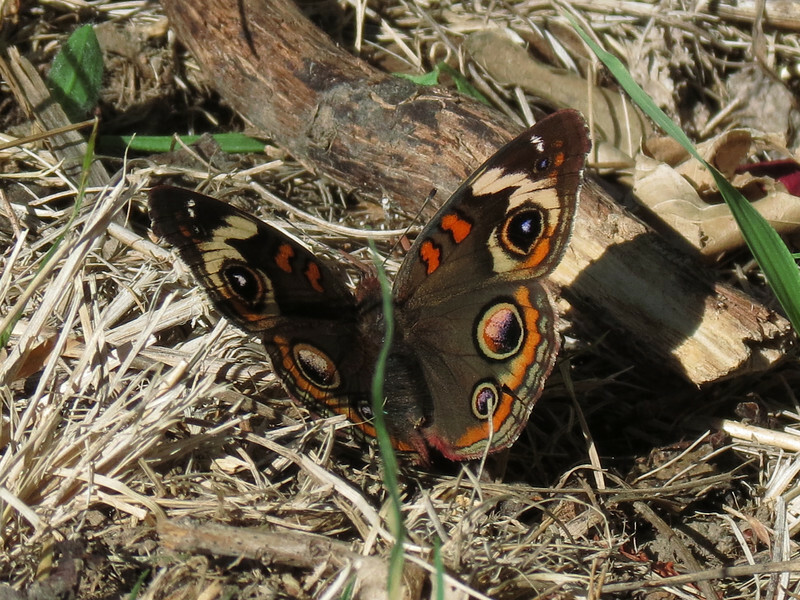 Buckeye Butterfly sunning itself in the backyard woods.